Biometrics in its many forms has become standard in many organisations, especially for access control and time and attendance (T&A) functionality. But biometrics can be used for much more. In a few companies, fingerprint biometrics is also being used to control which employees have access to sensitive areas and sensitive functions where rogue employees are able to fiddle with a company’s finances. Yet, most companies still rely on passwords and ‘traditional’ virtual access control methods to protect bank accounts and accounting packages (and for virtual access on the whole) – most of them without managing the passwords people use or how they go about remembering them. A few companies have taken the plunge and now use fingerprint biometrics to control access to their premises as well as their virtual premises. Instead of logging on with a password, a swipe of the finger is all it takes. Perhaps the growth of fingerprint access on smartphones has made people more aware of the possibilities. Yet, despite the obvious security benefits of biometrics, many companies have no plans to change their operational systems to incorpor-ate them, even in sensitive positions. 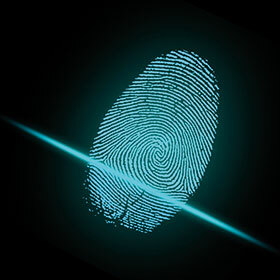 Hi-Tech Security Solutions asked ViRDI SA’s Deon Janse van Rensburg for his take on why this is happening despite the growing global awareness of fingerprint biometrics. Janse van Rensburg says that he is finding more companies enquiring about the convergence between physical and virtual access control systems. However, the enquiries seldom turn into a rollout. He says there are two main issues preventing virtual biometric access from becoming mainstream: cost and an understanding of how these systems work. “Any converged system becomes an expensive capex exercise due to the complexity of the system, resulting in many man-hours in configuration and training,” Janse van Rensburg explains. “Users rarely have an idea of this complexity and rarely understand the impact that the deployment of such a solution will have on their businesses from a capex, administration, maintenance, infrastructure layout and IT infrastructure point of view. Janse van Rensburg is clear that biometrics does add to the level of security. “As any IT security specialist will tell you, passwords to access computer systems are predictable due to users using passwords that they can remember and that are familiar to them. I recently read an article that provided examples of such predictable passwords which include names of pets, family members, birthdays etc. When it comes to the options customers have from ViRDI for virtual access, Janse van Rensburg says the company supplies various PIV/AFIS types of devices – dependent on the application. “Normally we would supply our FOH02 USB reader, but if the client has the requirement for FBI approved PIV/iAFIS devices they would be looking at the FOH04 and V-ScanFB series of devices. Bollard systems operate individually or in groups and are aesthetically pleasing and let pedestrians move between them in non-roadway applications. Facial recognition is being used in many businesses to verify payments, grant access and improve existing security systems.